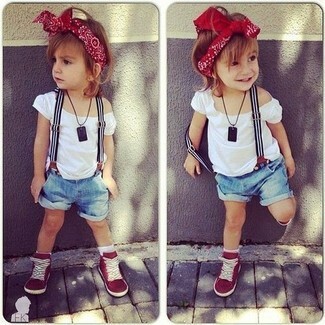 Choose a white t-shirt and light blue denim shorts for your little girl for a fun day out at the playground. 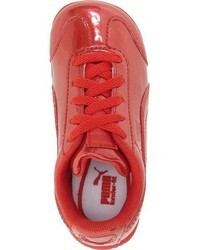 As for footwear your little one will love Puma toddler roma sneaker for this getup. A grey t-shirt and blue denim shorts are a great outfit for your tot to go out exploring. 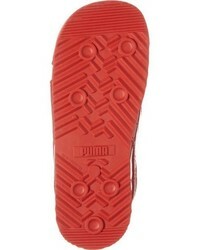 This style is complemented really well with Puma toddler roma sneaker. 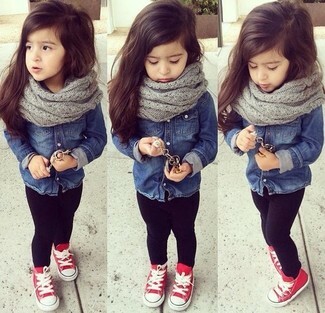 Suggest that your daughter pair a red jacket with navy jeans for a beautiful casual get-up. Puma toddler roma sneaker from Nordstrom are a smart choice to complete this ensemble. 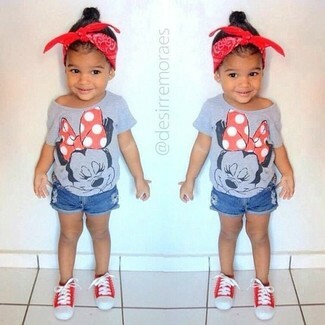 Suggest that your daughter pair a red long sleeve shirt with black leggings to create a smart casual look. Puma toddler roma sneaker are a great choice to complement this style. 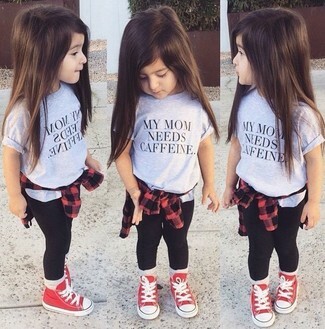 Consider dressing your tot in a white tank top with charcoal leggings for a comfy outfit. 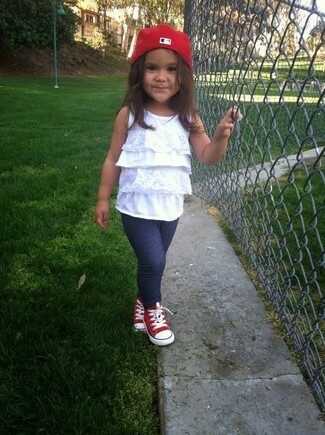 The footwear choice here is pretty easy: complete this outfit with Puma toddler roma sneaker. 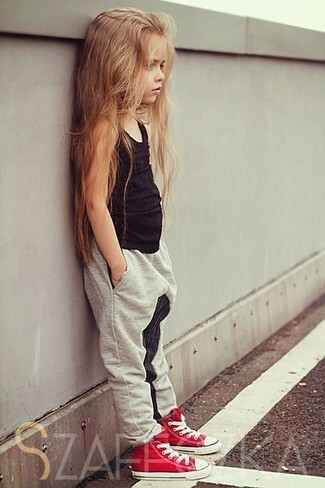 Suggest that your mini fashionista pair a black tank top with grey trousers for a comfy outfit. 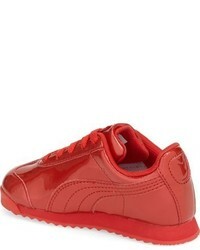 And why not add Puma toddler roma sneaker to the mix? Dressing in a navy blazer and purple jeans is a savvy fashion choice for your little one. As far as footwear is concerned, suggest that your girl choose a pair of red sneakers. 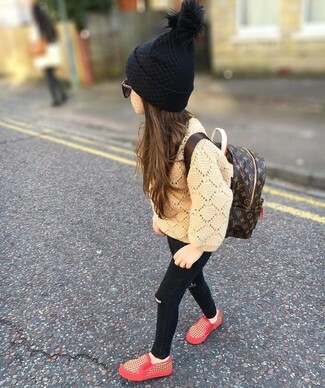 Help your child look fashionable by suggesting that she opt for a tan sweater and black jeans. Puma toddler roma sneaker are a smart choice to complete this getup. 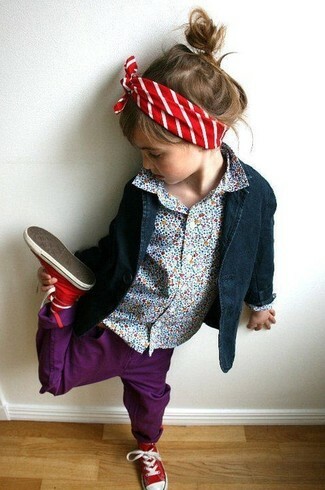 Reach for a navy denim long sleeve shirt and black leggings for your kid for a beautiful casual get-up. 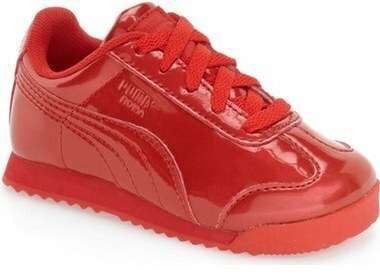 As far as footwear is concerned, suggest that your darling rock a pair of Puma toddler roma sneaker.